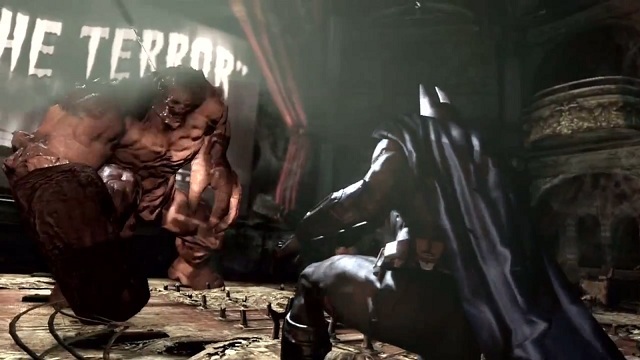 Thread: Movie Massacre: Is there a Connection to Batman: Arkham City? #1 Movie Massacre: Is there a Connection to Batman: Arkham City? It's just a thought at the moment, but after having played through the entire Batman: Arkham City game; could there be a connection between the ending of Batman: Arkham City and the recent shooting? They both end in a movie theater and the shooting did take place at a Batman movie showing. I do wonder whether or not the shooter had ever played Batman: Arkham City. Moral Dilemma Explained By Evolutionary Biology. You Agree? Does anybody belive in past lifes? What Captain Would You Choose To Serve Under? Seems about as crazy as the Bain Capital, Batman Bane connect--apparently some conspiracy that's been building for what....50 years or so? Less then twenty actually. Bane first appeared in Batman in 1993. But still along the same lines for sure. Conspiracy, not a conspiracy; don't really care. I'm just wondering as to whether or not there could be a connection between the showing of The Dark Knight Rises at the movie theater and the shooter being a possible Batman fanatic (or more so obsessed with the Batman villains). Maybe more information could be released and point to a fascination that the shooter has for Batman; his parents were gunned down at a movie theater late at night afterall. I doubt it. The person probably just saw it as an ideal location that could yield a high body count. or is it a tad to macabre to hope they'd post it on-line? It's not like people will be able to read it meaningfully. It will look just like any other brain scan. And a safe place because it was "gun free," where no-one could carry a concealed weapons. The way he was dressed, especially the part about having a throat guard, might mean he was trying to imitate the appearance of the villain of the current movie: Bain. Also in the last Batman movie before it, there were those batman imitators who would run around with guns and wore black Batman - imitating body armor.